approximately 1.77 inches (45.00cm) in diameter. 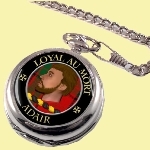 Clan Crest themed Round Shaped Pocket Watch is expertly made from Plated Chrome and has a stylish Clan Crest motif and background for that Clan. Each piece is exquisitely handcrafted in high detail. 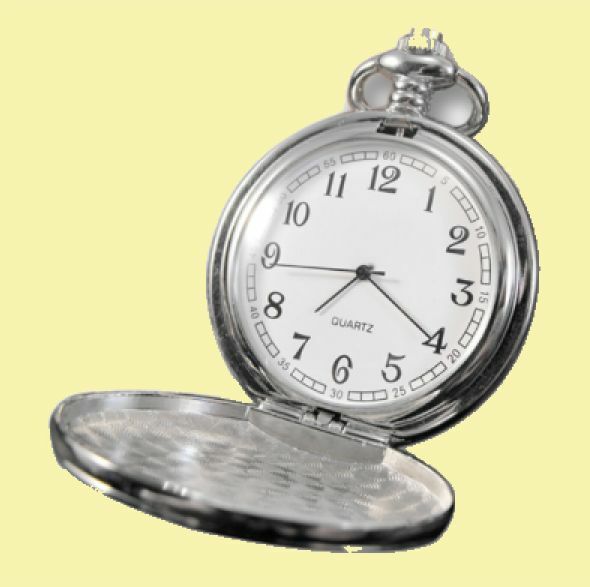 The watch is a quartz movement watch and takes a standard size battery (included in purchase). 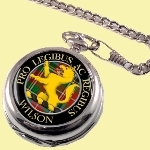 Supplied beautifully packaged in its own metal presentation box. It comes with a long elegant stylish Albert chain that measures approximately 11.81 inches (30.00cm). 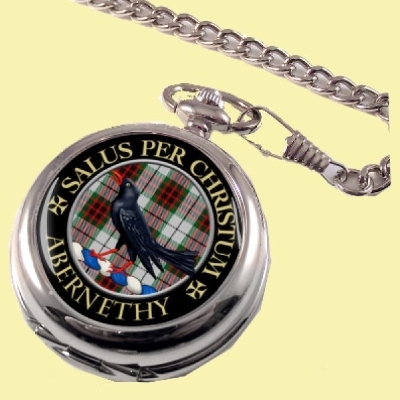 This beautiful and unique Pocket Watch is a perfect gift for any occasion. Ask about your Clan today. Elegant curves, luxury, smoothness. Wearing and owning this will provide endless pleasure. The superior craftsmanship and timeless design with a very clear numerical detailing on the dial. 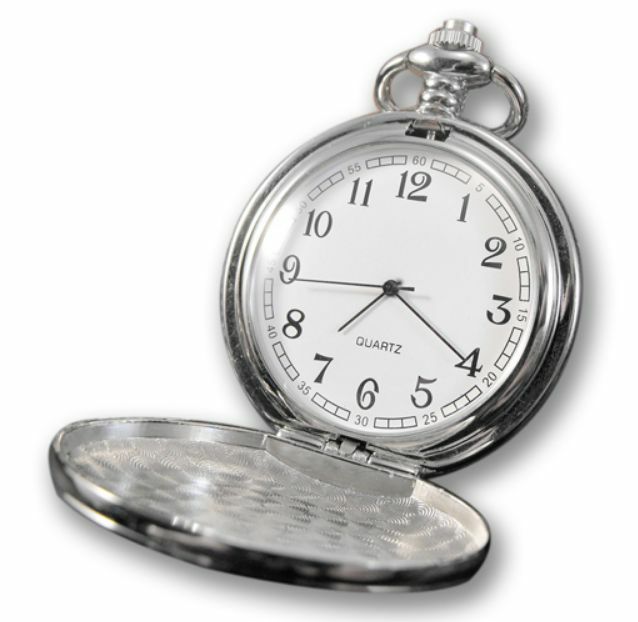 This item is hand-polished by a qualified craftsman and displayed in an elegant silver metallic coloured gift-box. 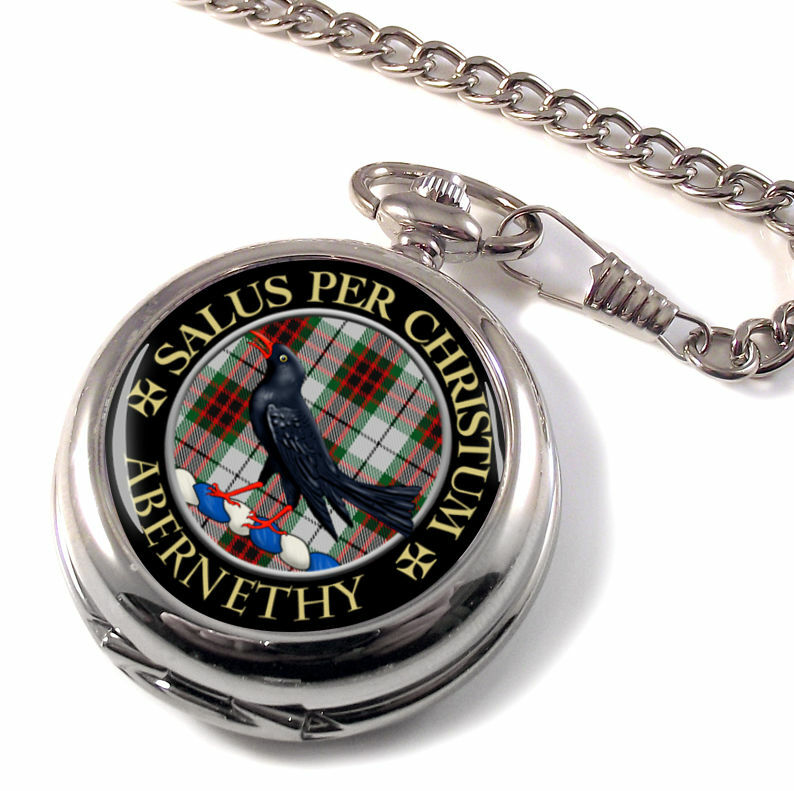 This is a gift that will be proudly worn by any member of your family. Perfect for any occasion. This is a gift that will be proudly owned by any member of your family. The ideal gift for any special event or wedding. This item is made in the United Kingdom. Please allow for sufficient time for your order to arrive.